*Click here for resources about the Central Eurasian Mission. Here’s a recent address for the Bulgaria Sofia Mission. We try to keep this information up to date, but it’s a good idea to check the address with several sources, including your mission packet or the mission office. Here’s a list of LDS missionary blogs for the Bulgaria Sofia Mission. This list includes the missionary’s name, URL and when their blog was updated. 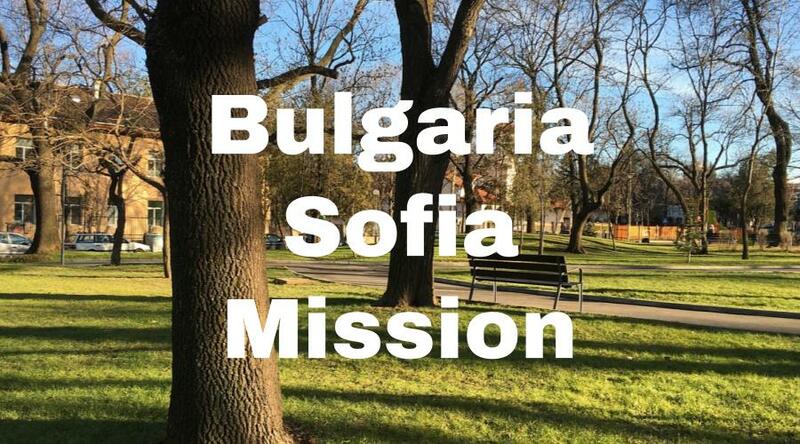 Here are Bulgaria Sofia Mission Groups- for LDS missionary moms, returned missionaries, mission presidents and other alumni of the Sofia Mission. Here are T-shirts for the Bulgaria Sofia Mission! 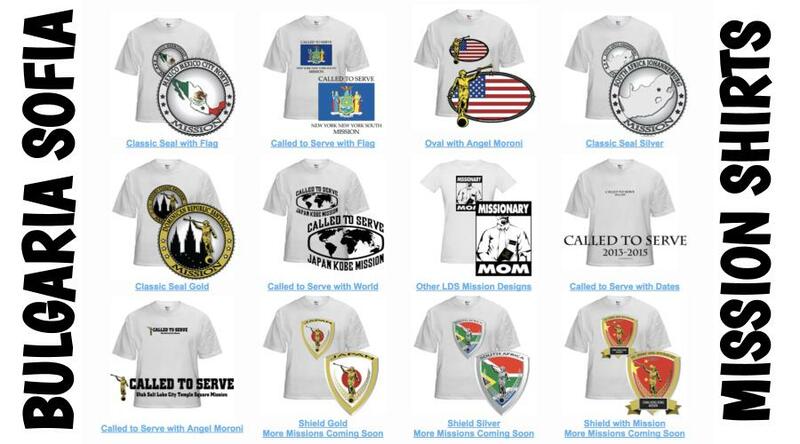 Shirt designs include Bulgaria Sofia Mission logo/emblem shirts and Called to Serve shirts. The shirts make great gifts for pre-missionaries, returned missionaries and missionaries currently serving. LDS Mission shirts come in all sizes: Small, Medium, Large, Extra Large, up to 4XL. The mission designs are printed on white shirts and are shipped to you. *Simply click on a shirt design to view the details and submit an order. The designs on mission t-shirts may also be printed on other LDS mission gifts, including: Bulgaria Sofia missionary aprons, Christmas stockings, ties, pillow cases, teddy bears and Christmas ornaments. Here’s a list of current and past Mission Presidents of the Bulgaria Sofia LDS Mission. Here are survey responses from Bulgaria Sofia RMs, to give you a snapshot into what it’s like to live in the mission. What are some interesting facts about the Sofia Mission? Any advice/testimony for pre-missionaries going to Bulgaria? Most of Bulgaria was farming villages, and then they were enslaved into the Ottoman area. For a brief period after WWI, they were free, but then communism came in. The communists decided to force everyone into industrial cities. You’ll go into a city of 20,000 people living in extremely dense communities and then outside of that there is nothing. You have people living in these really drafty, dirty buildings for their whole life. So weird things scare them, like if you are sitting outside on the concrete, they will come make you move so you don’t get sick. They’re afraid of cold drafts as well, because it was dangerous to get sick. I think about my mission almost everyday, and I realize it had more of an effect than anything so far on my life. It helped me recognize my potential as a son of God. As you’re obedient the Lord will be able to mold you. I came home knowing who I was and the difference I could make for good in the world. I developed such a love for the people there. As you serve people and give them all of your time, you will love them and become excited to share in the work with them. This is the Lord’s work. When you do it his way and serve with obedience and diligence, he will bless you. He will strengthen your relationship with your companion and your life. Put your shoulder to the wheel and you will have success. The Book of Mormon has the power to change lives, and in Bulgaria it’s doing that. Bulgaria is a country that needs the gospel and the Lord is preparing them for it. God lives and loves all of his children. This is His work, and I testify of these things in the name of Jesus Christ, Amen.